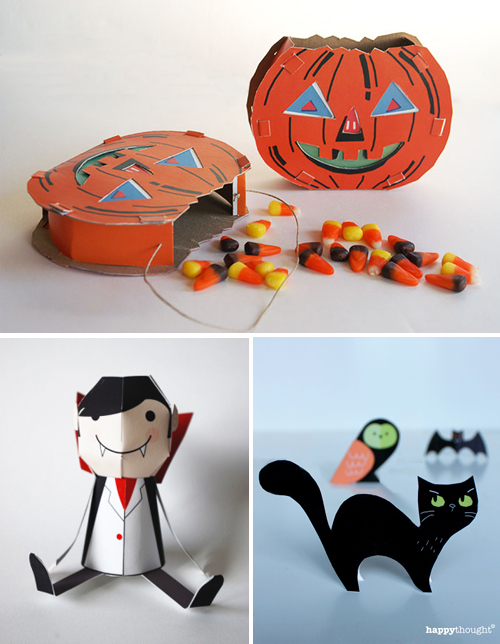 It's not too late to make a last-minute Halloween paper toy! Get the fam printing and folding these free DIY projects tonight. Can't. No printer ink. A word to the wise... don't order ink from Amazon... they may send you a used cartridge. Grrr. eeek so cute! i love the halloween paper animals. Thanks for the heads up. Happy Halloween! These are nice design for Halloween. You really are artistic. love these! that retro pumpkin is the best! Many thanks for including us in this fab round up! Hope everyone had a Happy Halloween!